How Do I Dissolve Vitamins? 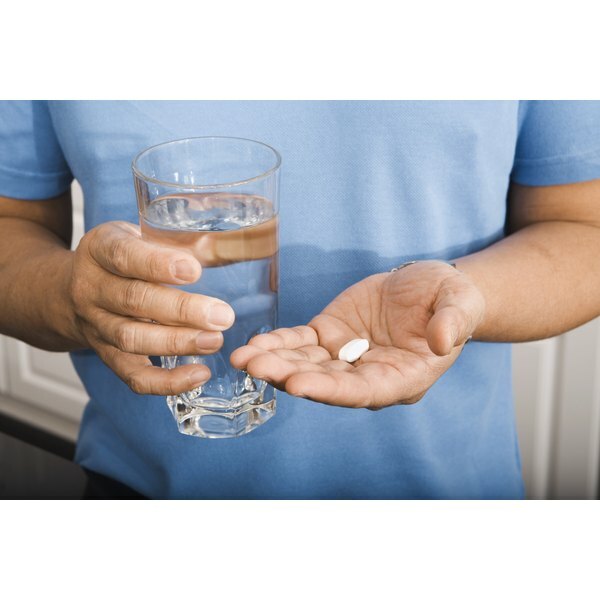 Can Calcium Supplements Cause a Too High pH in the Urine? What Is a Good Calcium Supplement? We need calcium throughout our lives, from adolescence, when bone formation is at its peak, to adulthood, when we need to maintain our bones and support vital functions. Calcium helps with heartbeat regulation, muscle contraction and blood clotting. Government food surveys indicate that most men, women, and children do not get enough calcium from their diets. If you don’t regularly use dairy products, you should probably consider taking supplements to get the calcium you need. Otherwise, your body will draw the stored mineral from your bones, leaving you at higher risk for developing the bone-thinning disease osteoporosis. Several forms of calcium are used in supplements; calcium carbonate, calcium citrate, calcium phosphate and calcium gluconate are the most common. Most calcium supplements are best absorbed when taken with food, which stimulates stomach acids that provide the best environment for calcium absorption. Calcium citrate is well-absorbed with or without food. Since there are so many types and brands of calcium available, alone and in combination with other nutrients, if you plan to take calcium supplements on a regular basis, it is best to speak with your doctor to find out which type is best for you. Calcium carbonate and calcium citrate are considered the best supplemental sources of calcium because these forms of calcium are well-absorbed by the body. Other types of calcium supplements do not provide as much elemental calcium -- the amount of calcium that is actually available for absorption into your bloodstream once the supplement is digested. Tums and Caltrate are reliable brand name supplements that contain calcium carbonate. Solgar and Citracal are brands containing calcium citrate. Generally, your body cannot absorb more than about 500 milligrams of calcium at a time, so any supplement that supplies more may be a waste of money. You can safely take up to 2,500 milligrams of calcium a day, in several 500 milligram doses throughout the day. Look for the United States Pharmacopeia symbol on your supplement label. This symbol ensures that you are buying a pure supplement that will dissolve readily and be available for absorption by your body. Not every calcium supplement will carry the USP symbol on its label and yet it could still be an acceptable product. You can use this simple test to make sure your calcium supplements will be well-absorbed. Place one tablet in a small glass of white vinegar and stir every few minutes. If the tablet breaks up or dissolves within 30 minutes, it should do the same in your stomach and therefore be readily absorbed. Be sure to discard the supplement/vinegar mixture after testing. If your supplement does not dissolve in this time period, choose another supplement. This test is only for hard tablet supplements, not for capsules, or chewable sources of calcium such as Tums. You really can get too much of a good thing, especially where calcium is concerned. Too much calcium in your blood is referred to as hypercalcemia, and it can be caused by too much calcium in your diet, or any number of medical conditions such as kidney or adrenal gland failure. Symptoms include nausea, pain near kidneys, muscle weakness, irritability, memory loss, bone pain and spinal curvature, according to MedlinePlus.com. If you experience any of these symptoms while taking calcium speak to your doctor about a calcium supplement dose that is right for you. Molly McAdams is a writer who lives in New York City. She has covered health and lifestyle for various print and online publishers since 1989. She holds a Master of Science degree in nutrition. Can Taking Calcium Supplements Cause Bone Spurs? Can Calcium Supplements Cause an Upset Stomach?